When we lived in Pennsylvania, we lived really close to the Brandywine Battlefield State Historic Site, located just outside of Chadds Ford. In September 1777, the Battle of the Brandywine took place along the Brandywine River. George Washington was defeated by the British General Howe and the ultimate result was that Philadelphia was taken by the British. 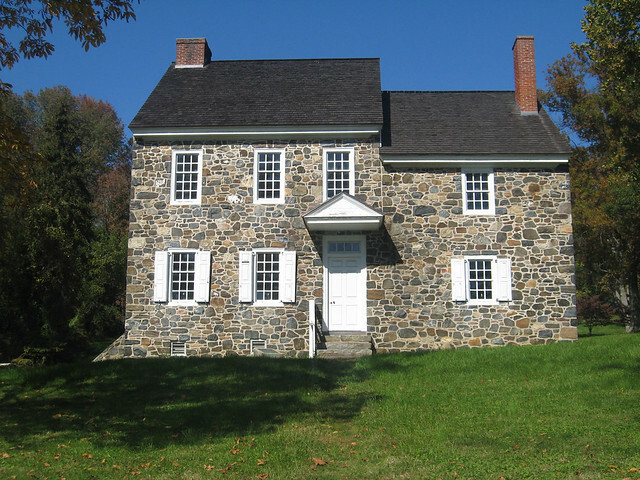 George Washington's headquarters in the home of Benjamin Ring. 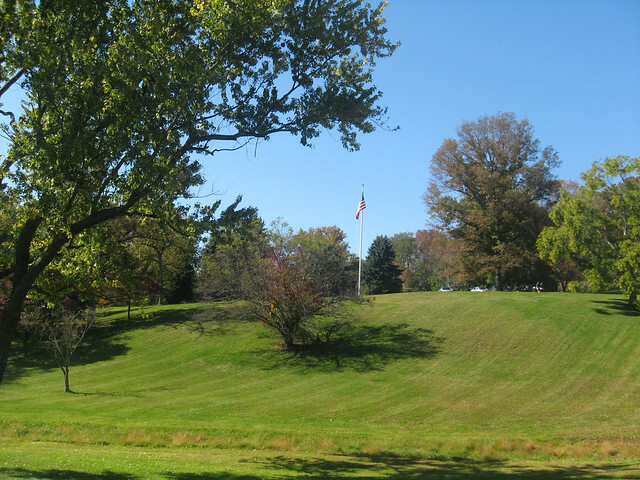 The current historic site encompasses approximately 52 acres, but the site of the actual battle is much much larger. It also happens to be the best preserved Revolutionary War battlefield in the nation. Very cool! I worked north of the battlefield one of the years we were there and I used to take the back roads home a lot, which went through the battlefield. I always said I wanted to stop some day and get photos of the landscape and I really wish I had because it's beautiful! The rolling hills with farmsteads over two hundred years old...there's nothing like it here in Indiana and that's one of the things I miss most about Pennsylvania - just driving along and coming upon buildings that are 200+ years old. Heck, the Chichester meetinghouse was pushing 300 years old! But I digress....anyways, if you're ever in the area, or on your way to Longwood Gardens, you should check it out! That is absolutely gorgeous! I'm with you--it's fun to live in a place where the newer historical buildings are from the 1800s. 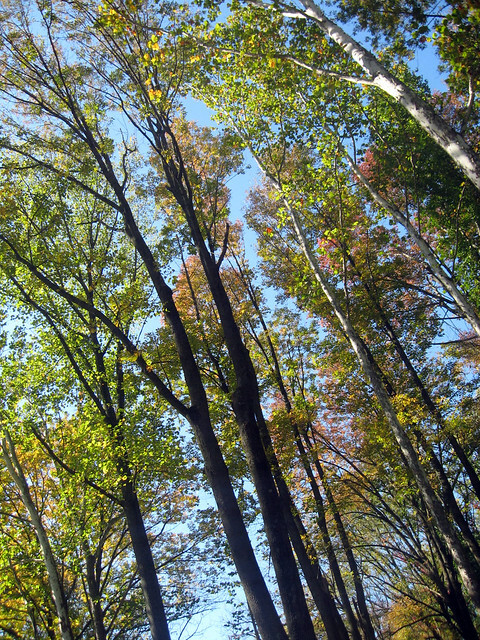 :) I've only been to PA once, but I remember it being really pretty! It's one of the main things I miss about living on the east coast. Old stuff here dates from about 1850. All the buildings from the early pioneers was constructed of rough hewn logs and intended to be replaced within a few years. While there are some masonry structures that date from the pioneer period - early 19th century, they are few and far between...and they aren't from the 17th or 18th centuries! It's funny that the buildings in the US that are a couple of hundred years old are considered "old" and when you go to Europe, they have to be a lot older than that to be considered "old!"